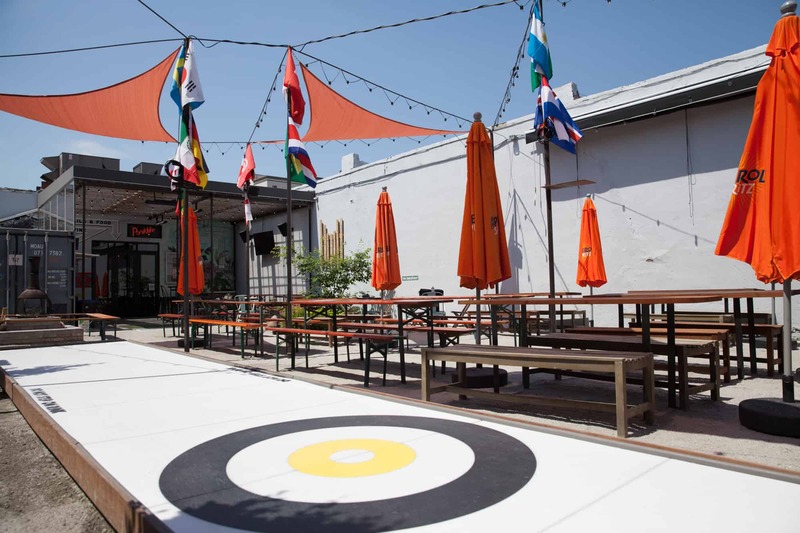 We’ve got a rink for you and your pals to enjoy street curling all year long! Check out the Parklife Curling Rules. Feel free to tag your pics with #parklifecurling. It’s free to join and we’ve got Sunday afternoon and evening slots available. We’ll have drink specials for participants and winners get some sweet prizes. We currently have the following slots available: Sundays at 12pm, 2pm, 4pm, 6pm, & 8pm. The league will consist of 4 teams for each 2-hour period. Each team is allowed between 1-4 members. A round robin format will be used, with scores from each game submitted. Standings will be located on Parklife’s website each Sunday. Each grouping will compete once a week for 3 weeks, with the champion moving on to the playoff round. The playoffs will be winner take all, 5 set match. Winners will move on in the playoffs until a curling league champion is crowned.